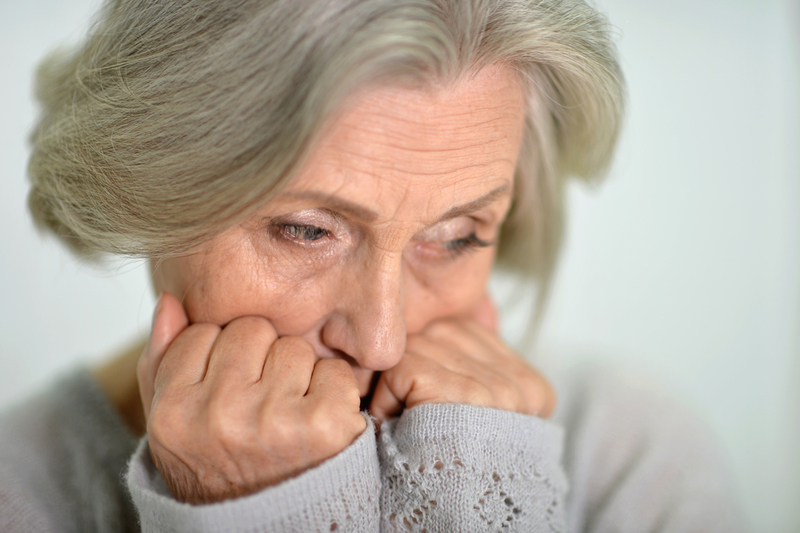 Sundowning, sometimes referred to as “Sundowning Syndrome”, is a symptom of dementia that involves increased confusion and agitation throughout the late afternoon and evening. Patients and caregivers have been describing sundowning for years but it is only recently that the symptom has been medically recognized, although as many as 45% of people with Alzheimer’s disease will experience the bizarre quirk. As sunlight begins to fade, sufferers may become more confused and forgetful, increasingly frustrated and argumentative with caregivers, have more trouble sleeping than usual, and be afflicted by serious tremors. How can you help to ease the effects of sundowning? Individuals who suffer from sundowning become less lucid in the late afternoon so plan any activities or necessary outings for the morning instead. This will alleviate the stress of being out and about when symptoms become more acute. There is some evidence to suggest that caffeine is linked to sundowning, and the symptoms can be worsened by the caffeine “crash” that tends to occur in the evening after a day of coffee drinking. Try to limit the intake of tea, coffee, and soda or move to decaffeinated brands. Restlessness is a common feature of sundowning which can cause sufferers to wander and pace during the night when they can’t get to sleep. Try to limit the amount of naps taken during the day so that the evening naturally becomes a time to wind down and feel more sleepy. Similarly, by increasing activity in the daytime, you’ll provide more incentive to be tired and sleep well at night. This could involve going for a morning walk, doing some gardening, or socializing while there is still ample daylight. Sundowning seems to be related to circadian rhythms and the setting of the sun in the evening, so by increasing indoor lighting throughout the evening you can offset the intensity of the change between day and night. Some doctors have noted significant positive effects of increased evening lighting. The frustration and agitation that accompany sundowning can be difficult for sufferers and their relatives and caregivers so try to provide calming influences like relaxing music and herbal teas throughout the late afternoon and evening to keep stress levels down. It is also useful to get rid of anything overly stimulating or distracting in the environment such as noisy television shows or large groups of people. By limiting the amount of stimuli, you’re removing elements that can make the sufferer feel more agitated or confused. Although sundowning can be trying for the sufferer and their carers it often passes as dementia progresses, so try to remain patient and accepting of the symptoms and don’t let your temper get the best of you. Getting angry won’t help anyone so take a minute and remember to be sympathetic. Sundowning affects many individuals with dementia, but it doesn’t have to be overly debilitating. These steps will help alleviate the effects of sundowning to ensure calmer and happier evenings. Does Fish Oil Help Prevent Alzheimer’s Disease? There are many benefits of a diet high in fish oil. It can help lower your cholesterol, reduce your risk of heart attack, and reduce inflammation that can lead to joint pain. Is it possible that fish oil could also help prevent Alzheimer’s disease? 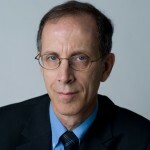 Several large and small studies have been performed to measure the effects on fish oil in people with cognitive problems. 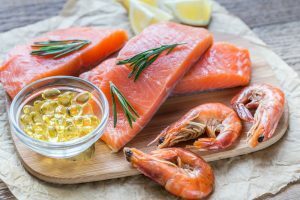 The results have consistently shown that people who took fish oil supplements or included fish in their diets were less likely to suffer from memory and cognitive problems than those who didn’t. One notable study found that seniors who ate fish almost daily were 20% less likely to develop dementia than those who only ate fish a few times a week, according to the Fisher Center for Alzheimer’s Research Foundation. 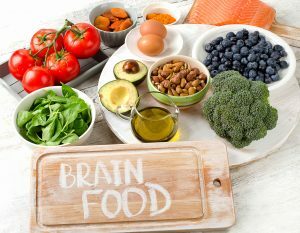 Another large study found that people who followed a Mediterranean Diet containing fish oil, olive oil, and vegetables were less likely to develop Alzheimer’s disease. Fish oil is known to reduce inflammation. It’s believed that inflammation could be one of the possible causes of Alzheimer’s disease. That being said, more research is needed to determine how effective fish oil is at reducing the risk of Alzheimer’s disease and why it may provide a benefit. Fish oil supplements can be an easy, effective way to ensure that you are consuming Omega-3 fatty acids on a regular basis. You can buy fish oil supplements over the counter at drugstores and health food stores. A better idea may be to ask your doctor for a prescription. This helps ensure that you’re taking a supplement that is regulated by the FDA and doesn’t contain mercury or other toxins. Although the easiest way to get fish oil is by taking a daily supplement, it’s also possible to increase your intake by consuming fish that is high in Omega-3 fatty acids. Salmon, herring, lake trout, mackerel, tuna, sardines, and anchovies are all good sources. If you do opt to include more fish in your diet, it’s important to eat it most days of the week in order to gain a benefit. Current search shows a positive link between fish oil and cognitive and memory function. While more research needs to be done in order to understand the full benefits, incorporating fish oil into your diet is a small change to make. It may help reduce your risk of Alzheimer’s disease and dementia, as well as provide cardiovascular benefits. 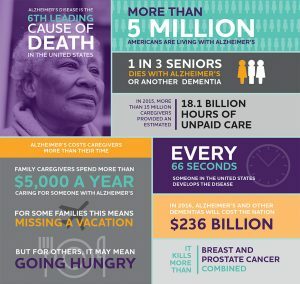 The Alzheimer’s Association states that more than 5 million American people suffer with Alzheimer’s disease, the most common type of dementia. By 2025 that number will rise to over 7.1 million. Every 66 seconds, someone in the United States develops Alzheimer’s disease. This progressive disease results in severe memory loss and other brain function abilities that interfere with a person’s daily life tasks. 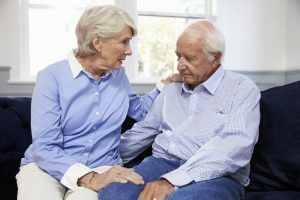 When someone you care about has been diagnosed with Alzheimer’s disease, it can become difficult to know how to interact with him or her, especially as the disease progresses. This person, whether you knew them intimately or just socially, has changed, and perhaps you’re not sure if they will recognize you anymore. It can become awkward and even a little frightening when you don’t know what to say or how to act when living with, visiting or just running into a casual friend who has Alzheimer’s disease. It’s hard to understand what is going on inside the mind of someone with Alzheimer’s. Their entire reality has changed, from their outlook on the past to what they are experiencing in the present. Patience is key in dealing with someone with dementia. Don’t assume that an Alzheimer’s patient knows who you are immediately upon seeing you, particularly if you are not a close family member. If the person looks confused upon meeting up with you, say your name to reintroduce yourself. As the disease progresses, even spouses and children will have to do the same. Remember, this person may become frightened if you suddenly come up to them for an embrace if they have no idea who you are. Be open and understanding if you are not recognized. Always speak in a calm, soothing voice, using simple word choices and using the person’s name often. Focus on being reassuring and comforting. Try your best not to interrupt when the person is speaking, even if he or she is not making sense. Wait for an answer or response without rushing the person so he or she can process what you’ve said. If the person does not recognize you or someone else in the room, don’t become agitated or talk about the person with others as though he or she weren’t there. Remember: this is still someone with feelings and they can hear what you are saying and become hurt or embarrassed. Empathize with that person’s inability to recognize someone by giving gentle reminders instead. Memory, of course, is a hallmark symptom of Alzheimer’s. This person may believe that people from the past who are now deceased, for instance, are still alive. If a person with Alzheimer’s asks when you can take them to visit their father (who is no longer alive), do not remind them of this fact. Instead, gloss over the request, putting it off until another day. You do not want to agitate someone with dementia. Avoid arguing over a fact that the person with dementia cannot recall correctly. Even if you try to set the record straight with the correct facts, the person will usually not be able to remember it anyway, so why upset the patient by arguing? It will only cause emotional stress. You will want your interactions with an Alzheimer’s patient to be as free of distractions as possible. Flip off the TV, the radio and your cell phone so they can focus on you and what you are saying. Don’t forget to make eye contact with the patient, using their name when addressing them, before you even begin the conversation. Overall, the key to interacting with Alzheimer’s patients is to be emotionally supportive. Try to take cues from the patient by starting the conversation with a brief reintroduction of yourself and see where it goes from there. Are you tired of forgetting where you put your keys or where you left your purse? Then work to improve your memory by following the dos and don’ts listed below. Lifestyle habits and foods that sharpen your ability to remember are included in this list, so make this list part of your life. Refer to this information whenever you need to, until your memory improves and you remember it on your own. Do eat plant oils instead of saturated fat. Researchers have found a link between saturated fat and Alzheimer’s disease. Excellent oil choices include olive oil, peanut oil, and sunflower oil. You will also find plant oils in peanut butter and avocados. Do eat more black-eyed peas. This plant food will preserve your memory as it can slash your Alzheimer’s risk by 50 percent due to the folate it contains. Other good sources of folate include lentils, spinach, and asparagus. Do eat a lot of foods that are rich in vitamin C. The antioxidants in vitamin C can cut down brain cell death and prevent the growth of brain plaque, which is associated with Alzheimer’s disease. Good sources include papaya, red peppers, orange juice, grapefruit juice, and broccoli. Do consume more foods that contain a high amount of vitamin E. Vitamin E has the same antioxidant power as vitamin C, and it enhances the flow of blood going to the brain. Vitamin E foods to add to your diet include sunflower seeds, almonds, and hazelnuts. Do make it a habit of eating grapes and drinking green tea. Both of these foods are potent antioxidants that stimulate brain action. In addition, the resveratrol in grapes and the catechins in tea offer protection from damage created by plaques that develop inside the brain. Do eat blueberries. Flavonoids in this fruit could help you improve the way your memory stores and retains information. Eat spinach as well since this leafy green vegetable also contains flavonoids. Do add garlic and ginger to your diet. Research has revealed garlic extract could lessen ones chance of developing dementia. Ginger extract is able to retard brain inflammation caused by plaques. These spices contain antioxidants and anti-inflammatory substances that help to prevent loss of memory. Do perform deep breathing exercises to oxygenate the brain and improve memory. The brain must have oxygen in order to adequately perform. Also take part in transcendental meditation since this mind-body practice helps you think better. Do read more often. Reading exercises the brain and increases blood circulation that nourishes brain cells. You can also exercise your brain by playing word games and filling in the blanks on crossword puzzles. Don’t eat red meat since it contributes to the development of amyloid plaque and neurofibrillary tangles, both of which cause Alzheimer’s disease. Turn to EFA foods that are good for your brain and memory. 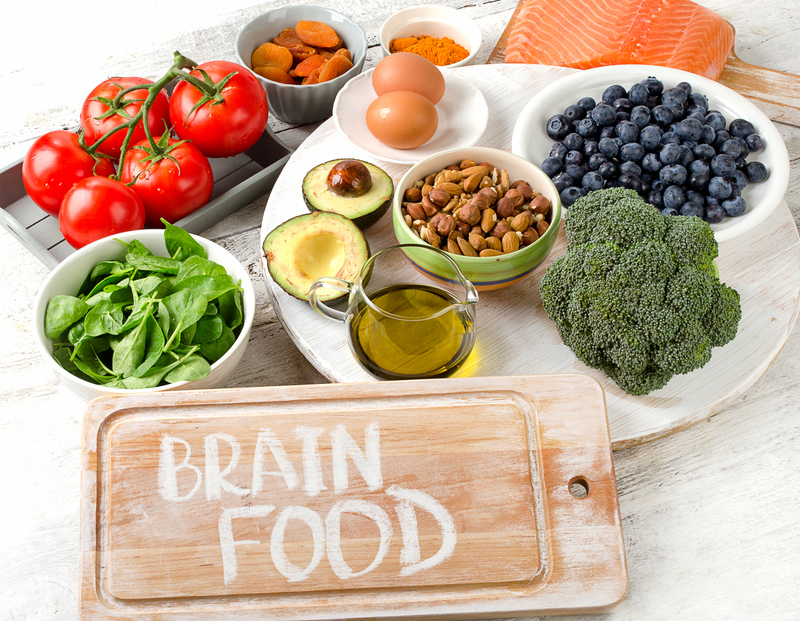 Almost 60 percent of your brain’s cells are made up of EFAs, so eat leafy greens like spinach, and consume salmon, cod fish, and shrimp. Other foods that offer EFAs are brown rice, tofu, apples, oranges, grapefruit, cantaloupe, and wheat germ. Don’t drink more alcohol than you should because when the amount of alcohol you consume is more than moderate, memory becomes impaired. For women that means just one drink daily. Men should have no more than two, and both genders should limit themselves to one when they reach the age of 65. Marijuana should also be avoided since this drug has the same effect on memory. Don’t skimp on sleep since sleep loss causes the mind to forget. Make sure you get at least eight hours of shut-eye every night. Be sure to stay away from caffeine close to bedtime to get a good night’s rest. Don’t worry and be happy to improve your brain’s performance and your memory. A sunny and relaxed attitude enhances brain performance. Listening to classical music is also beneficial, so turn it on or hear it live to improve your memory. Don’t eat refined sugar since it acts like a switch that puts your brain in a “off” mode. When your brain is in this mode you will experience memory problems. You should also stay away from foods that contain sugar. Many of us fear getting some form of dementia when we get older, such as Alzheimer’s disease. There are steps we can take that will increase the odds that we will maintain a healthy brain as we age. The good news is that the same steps that help keep our hearts healthy can also protect our brains. When we are young, we take our brains for granted. When we are twenty, misplacing our keys does not trigger a fear that we are developing Alzheimer’s disease. However, as we get older, we start noticing more and more episodes of forgetfulness. We forget people’s names, we forget appointments, and we forget why we walked into a room. Even if we laugh off some of these episodes of forgetfulness, some part of us does start to worry that this is the beginning of some form of dementia. If you want to increase the odds that your brain stays healthy throughout your life, there are lifestyle habits that are associated with better brain function in old age. These consist of fairly simple, no-nonsense tips that involve better nutrition, mental stimulation, social contact, exercise, and stress reduction. If you want your brain to stay healthy, you don’t have to learn a lot of new habits in addition to what you would do to keep your heart healthy. 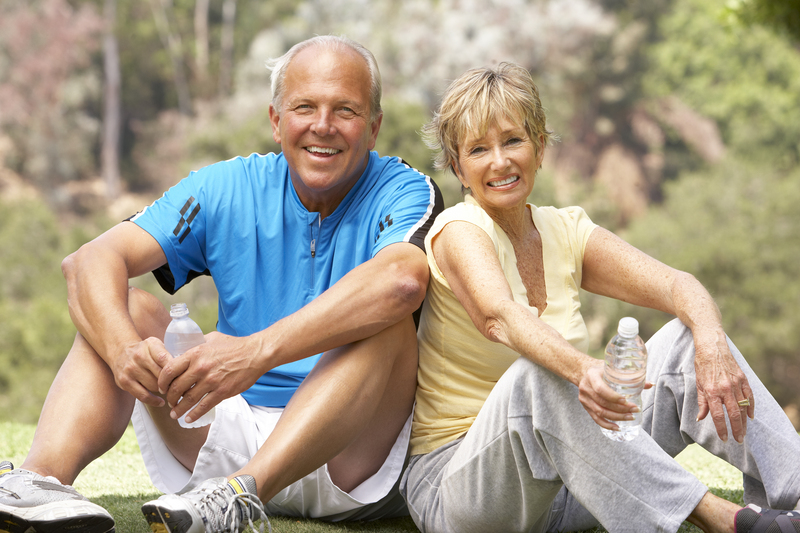 The lifestyle tips that benefit your brain will also help your heart. There is a good reason for this. The brain is nourished by the blood your heart pumps to all its billions of cells every second. If your heart no longer pumps well, and if the complex network of tiny arteries become clogged by fat deposits, your brain cells will not be able to function well. The free radical molecules that damage the lining of your blood vessels can also damage brain cells. If you have high blood pressure, work with your doctor to get it into a safer range. Increase your intake of Omega-3 fatty acids by consuming more oil from plant sources such as flax and walnuts, and eat ocean fish such as salmon. Cut down on your use of commercial salad dressings containing a lot of Omega-6 fatty acids which are associated with increased inflammation in the body. Cut down on your intake of foods containing hydrogenated oils and transfats, such as fried foods and margarine. Cut down on your consumption of saturated fats by switching from red meat to poultry and fish, or go completely vegetarian. Increase your consumption of fresh fruits and berries. Berries such as blueberries and strawberries contain antioxidants that can help protect brain cells from suffering free radical damage. Nutritional supplements containing a balanced vitamin B complex as well as the vitamins C and E can be beneficial to the brain as well as the heart. Get your body moving! Go for a long walk every day, or find some other form of regular exercise program. Find ways to reduce stress. Cut back on your obligations if you are doing too much. Simplify your life. Take up some form of meditation that can help you relax and reduce your stress level. Stay involved in life. Spend time with loved ones. Keep learning new things. By implementing these measures in your life, you will be helping both your heart and your brain to stay healthy. 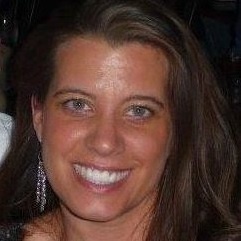 I am very pleased to announce that Christine Fields has joined the Angel Team as Field Supervisor. 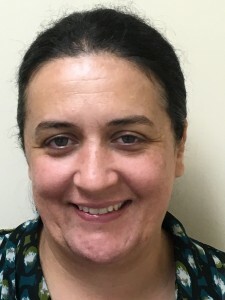 Christine joins Charlotte’s Angels after spending the past seven years with The Independent Living Center where she performed the duties as field supervisor and scheduler for the In-Home Division. When Christine entered our doors two weeks ago to apply for a position, I knew immediately that God had a plan for the person who we were looking for. Christine had actually provided care for my mother Charlotte who was a resident at The Arbors at Silver Creek as Program Director. Her passion for caring for those with Alzheimer’s reflects why I opened Charlotte’s Angels. We are so honored to have her join our Angel Team. Christine is a Joplin native married with two children. 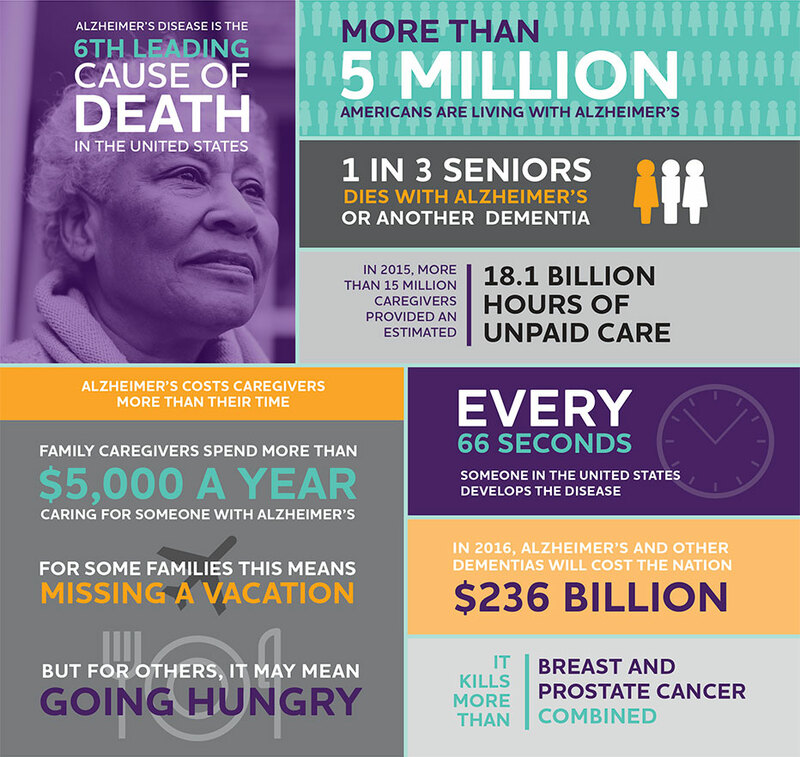 Having the proper tools of education and resources for family and agency caregivers is very important since 70% of all people with Alzheimer’s and Dementia are living at home. I am very pleased to announce that Kim Roy has recently completed the “Train the Trainer” certification course and is now a educator. Everyone who knows Kim see’s her passion for helping those who suffer from dementia. Kim will be passing this training on to her wonderful team of Alzheimer’s Specialty Caregivers here in the Joplin area. In addition to providing further training to our staff, Charlotte’s Angels will be offering family caregiver training to our community as a free service. For more information concerning the family caregiver training please contact our office. Charlotte’s Angels is pleased to announce that we have received our MUSIC & MEMORY℠ Certification which makes our Agency the only home care agency in the State of Missouri to be certified through Dan Cohen’s MUSIC & MEMORY℠ Program. We have joined a network of over 1000 facilities and agencies across 45 states and 8 countries that promote the MUSIC & MEMORY℠ Therapeutic Program. It is the program’s goal to make personalized therapeutic music a standard of care throughout the health care industry. We have already started working with our dementia clients here in Joplin providing the therapeutic personalized music in the home and are seeing amazing results. 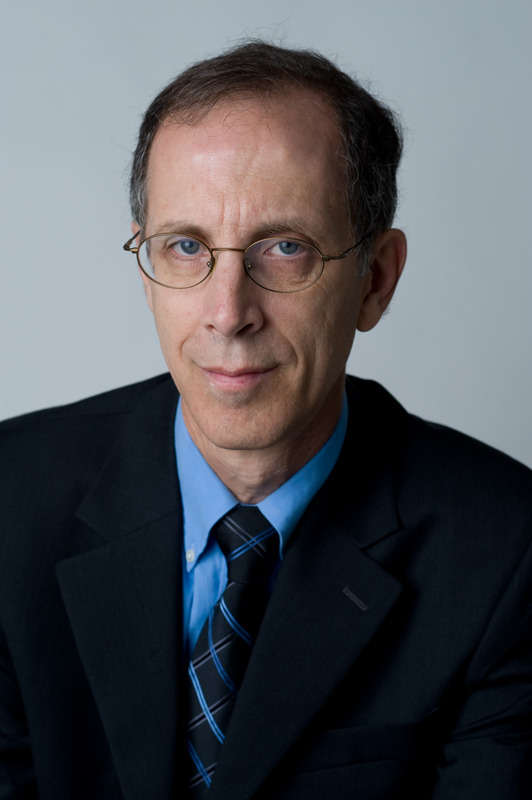 Charlotte’s Angels Music & Memory Program is pleased to announce that Dan Cohen, founder and Executive Director of MUSIC & MEMORY℠, will be our guest speaker for our private viewing of “Alive Inside” Tuesday March 31st 2015. Dan is the social worker who was followed in this documentary directed by Michael Rossato-Bennett. Seating is limited for this private viewing. Please RSVP through our Facebook event page or by emailing our office at event rsvp. "Alzheimer's and dementia patients live in the moment, It is our job to give them as many moments as possible"